Will England be able to retain their PRIDE? Cricket Australia on twitter posted their test squad for the Ashes on 31st of March,2015. The selection for the 2015-16 season by the National Selection Panel, has been made on the basis of the players’ performances from July 2014. National Selector Rod Marsh’s comment on the chosen squad “The test team has performed very well in recent times, but the big challenge is to do that away from home”. Surely the Kangaroos are ruling the world of ODI cricket but performing outside the fortress has always been a challenging side to face. The Golden Army’s performance in the World Cup Campaign won millions of hearts this year already. 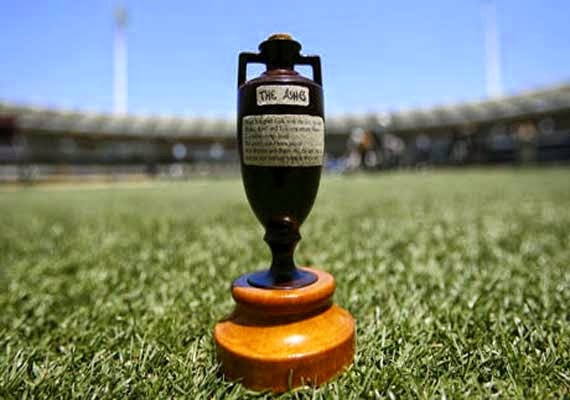 But just like a World Champion title , Ashes are no less for the Australians and Englishmen. The failure in the World Cup campaign has been devastating for the Englishmen. To get the pride back, England needs to make a come back in the upcoming tour to the West Indies and after that the fight for the Ashes against Australia. Being called as the most “over-rated team” , England has got a chance to reflect the sheer talent of all the players against the World Champions. But the question “Will England be able to retain their PRIDE?” will get answered soon in the upcoming months of June-July. Beware a wounded Lion, England will be ready for Australia but they will need to find something special if they are to be victorious. Australia has the talent in their squad to make life very difficult for the home side. It has always been a challenge for Australia to perform away from their home-grounds. On the other hand, England is a strong team. Their failure to perform in the WC campaign left them devastated. And their performance in the Ashes will do the talking. They’ve been good in the T20 format and Tests as well. Just struggled with their ODI format recently. According to Brett Lee ,only one factor is missing, consistency. They need to work on that. It looks like A Cook is finding some form in the West Indies and no doubt some red ball cricket will do all of the England squad the world of good. I have a feeling Australia will be bringing their A Game to the UK this year. England back in form. Looking forward to that.